That is such a fun kimono! Love the fringe and pom poms! :) I'm a big kimono fan, I have far too many in my wardrobe, haha! in fact the post I linked up has me wearign one of my favourites! I love the entire outfit!! Specially the kimono! love this causal spring look.. i would wear this in a heartbeat, well i would if our pesky British weather decided to actually be spring like! Thanks for hosting lovely lady, wishing you a great week. Your kimono is so cute with the fringe and pom pom detail! I love how you styled this casual chic look! Perfect combo! I have a couple kimonos and they definitely double as bathing suit coverups for me too. This outfit just works in every way. I think pairing the same pieces with denim shorts for summer afternoon/evenings would be perfect. Thanks for hosting. 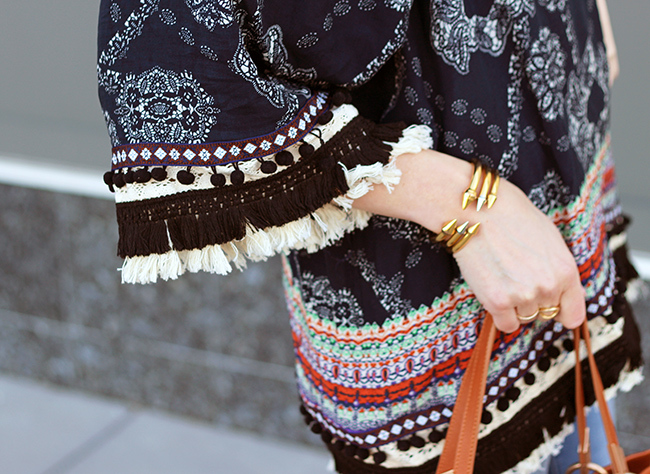 Digging this kimono, lady- that fringe is so fun! I am a huge fan of kimonos! I have amassed quite a collection. Yours is gorgeous! And I love it paired with jeans and a cami. Super cute and Spring and Summer perfect! Oh, I can see why you had to have this kimono. It is gorgeous! I love how you styled this kimono! Too cute! Those jeans are perfectly distressed! That kimono is so pretty! I love the pom pom and fringe detail on the arms and bottom! Also, I think you've worn those jeans before, but I love them, too! How cute is this kimono! It has all the boho vibes I'm craving! Such a pretty printed kimono! Love how versatile it could be! Such a fun outfit and link up! That's a great kimono! I'm planning on adding a few more for summer, and I like the boho vibes of yours. I'm not always a huge fan of kimonos because I think they look strange on me sometimes, but I really love this one! The details are so great. Love the combo you have created. Such chic styling. This kimono is giving my life! I love how you styled it and those are the perfect pair of ripped jeans! Love a good kimono & the fringe/pom pom detailing on this one makes it look so high-end...couldn't believe it was less than $25!! Girl I love this! It's so cute and will be a perfect little cover up on the beach! This kimono is fabulous! I love the fringe! What a cute kimono!!! Loving those sandals too. Such a great spring-time outfit! And I totally agree with you, that kimono would make a fabulous coverup! I love this outfit! I am particularly digging that beautiful lace cami! What a pretty combination to have the kimono over it. loving how you styled this kimono! also i have these jeans too and they're my fav. This might be one of my favorite looks ever of yours! That kimono is so fun for summe! Love how you styled the kimono!!! Great outfit! Very nice and cool look ;) Enjoy the week-end! That is the cutest kimono! I love all of the detailing! 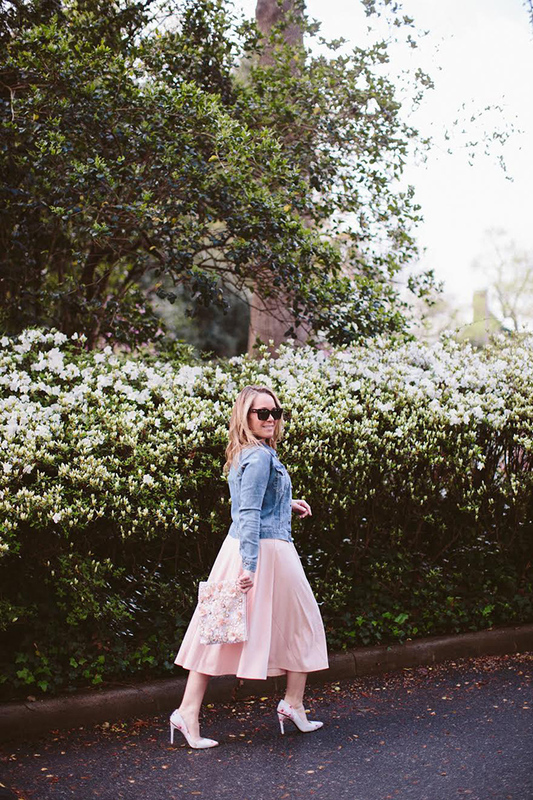 They're my favorite for spring and so fun to dress up or down! LOVE how you styled this look!! The kimono is so fab. Great post! Flawless look, babe! I love those jeans! Ahhhh ok so I got this kimono in the mail on Friday and literally styled it just like this that night, with a top tucked in and jeans and tan sandals. So obviously, I LOVE this look! Such a fun kimono- and I was impressed with the quality! Love how you paired that gorgeous kimono with those cute sandals. 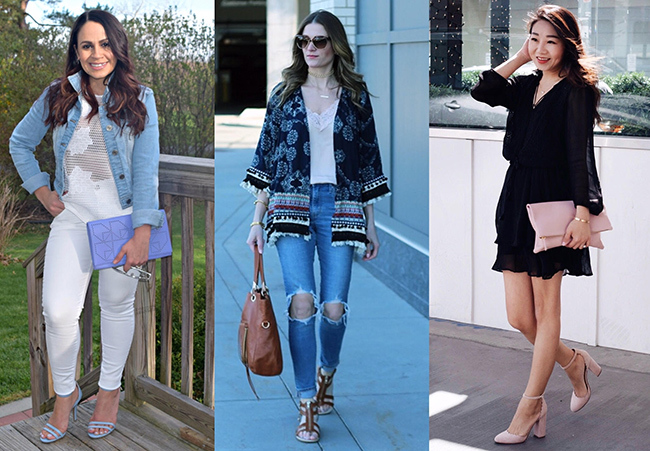 Love that Kimono for spring! So gorgeous! That is a beautiful kimono. Love how you styled it so it has the Coachella vibe going on! What a cute bohemian kimono! Adore this kimono and entire look! Need this kimono! I can't believe it is so affordable!